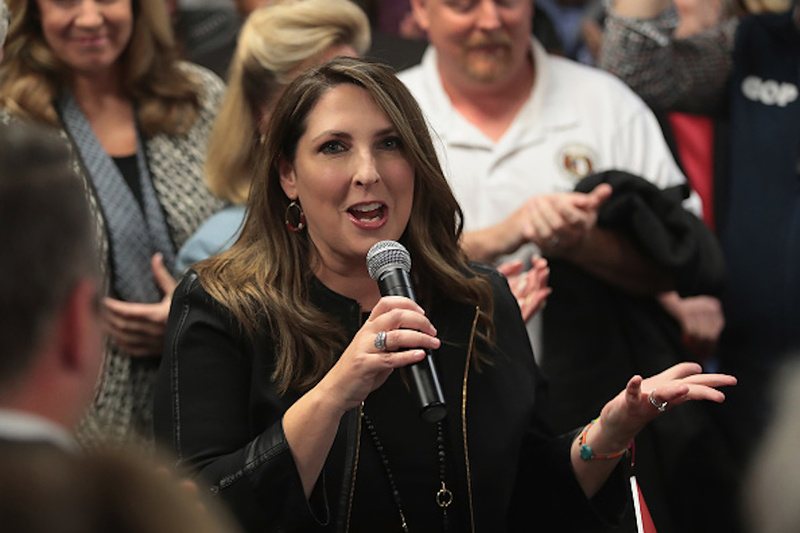 The Republican National Committee (RNC) raised a historic amount of money in February, as Republicans gear up for 2020, The Daily Caller News Foundation learned Wednesday. The RNC raised $14.6 million, a record high for the month of February in a non-election year, according to internal numbers shared with TheDCNF. The number is also the second highest of all time for the month of February, going back to 2004. The party is also zero dollars in debt as the RNC has continued to beat The Democratic National Committee (DNC) in fundraising. Nearly 60 percent of the RNC’s donations, $8.9 million, came from small-dollar donors. Also the RNC and President Donald Trump’s campaign’s joint fundraising committee (TMAGAC) has already had five seven-figure fundraising days. The committee filed a record-setting $19.8 million January 2017 after Trump was elected into office.